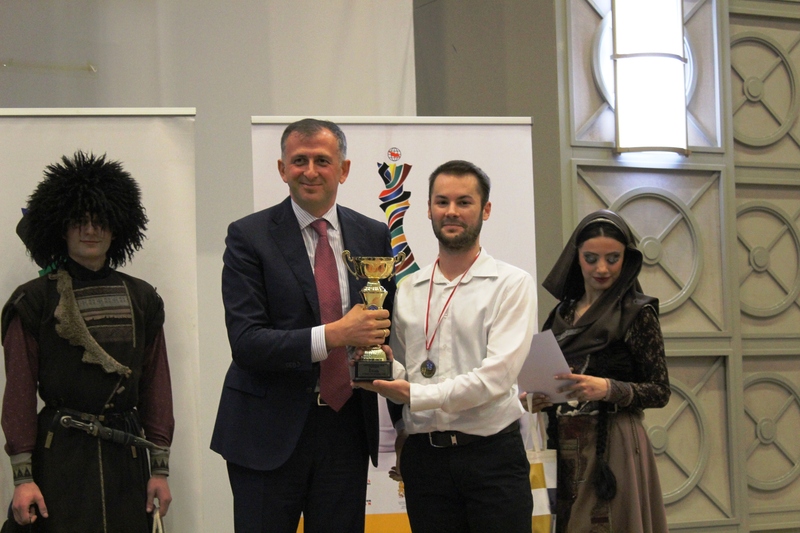 Ivan Saric (CRO, 2657) triumphed at the 18th European Individual Chess Championship with 8.5 points after defeating Navara David (CZE, 2737) in the last round to emerge over the runner-ups and to be the sole Winner of the Championship. 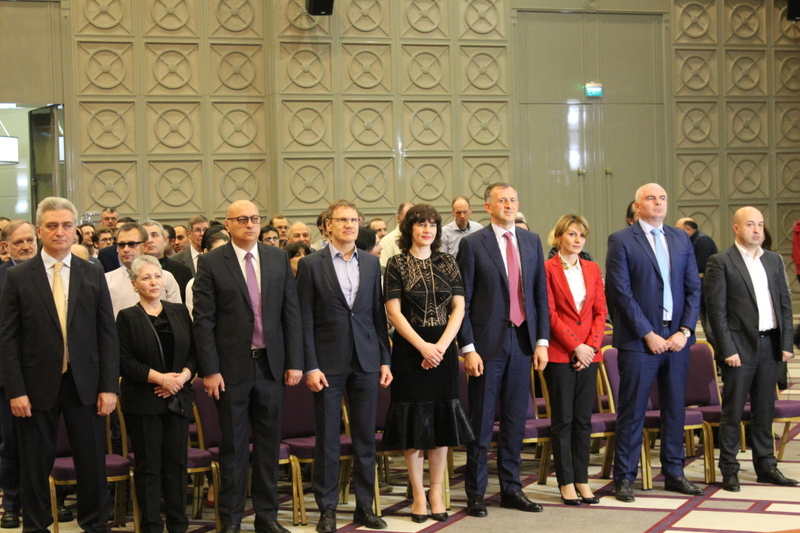 The Closing Ceremony was attended by the President of the European Chess Union, Mr. Zurab Azmaiparashvili, ECU Secretary General, Mr. Theodoros Tsorbatzoglou, the Chairman of the Government of Adjara, Mr. Zurab Pataradze, the Finance Minister of Latvia, Mrs. Dana Reizniece-Ozola, the Georgian Deputy Minister of Culture and Sport, Mr Shalva Gogoladze, the member of the ECU Educational Commission and the President of Belarus Chess Federation, Mrs. Anastasia Sorokina, the Vice President of FIDE and President of the Turkish Chess Federation, Mrs. Gulkiz Tulay, and others distinguished chess figures. The battle for the top was intense until the last minutes of the Championship which reflects on the fact that seven players tied for the second place. 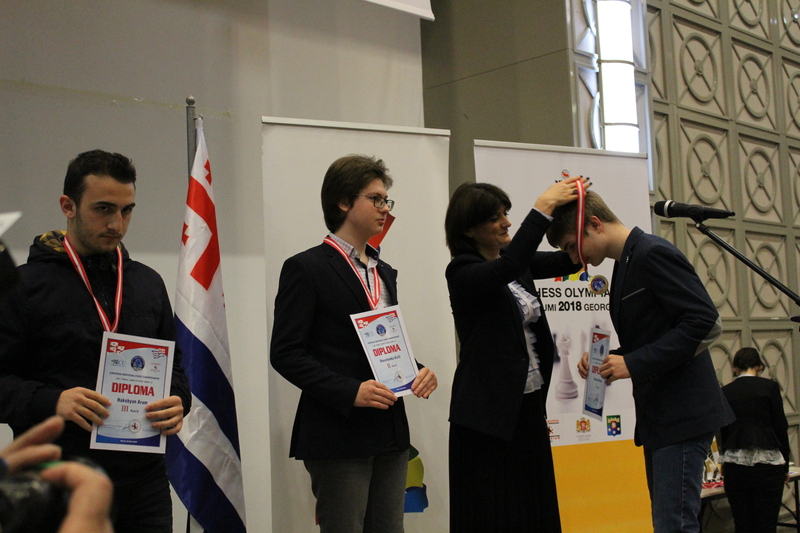 According to the tiebreak system, the silver medal went to Wojtaszek Radoslaw (POL, 2738) and the bronze came to Sjugirov Sanan (RUS, 2652). 23 players qualified for the next World Chess Cup, among them well known European Grand masters, but also a few surprises, such as 19 years old and very talented International Master Santos Ruiz Miguel (ESP, 2488), 18 years old Sarana Alexey (RUS, 2577), or 21 years old Yuffa Danil (RUS, 2521) who’s starting rank position was 123! 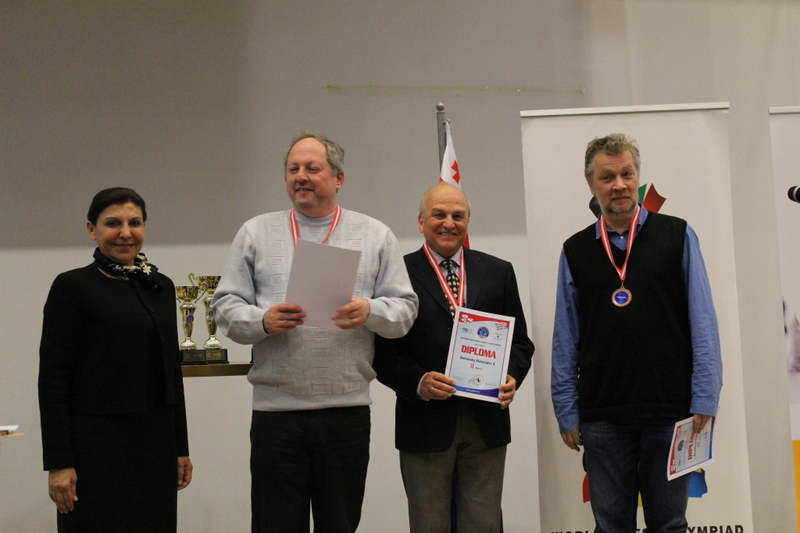 The European Individual Chess Championship 2018, which took place from 16th-29th March in Batumi, Georgia, gathered over 300 players from 34 European federations, among whom 135 GMs, 56 IMs, 6 WGMs, 1 WIM and in total 254 titled players! Many female players used the opportunity to compete in one of the strongest European Individual Chess Championships ever. The best women player of the event was Stefanova Antoaneta (ECU, 2481), who scored 6.5 points and finished the event as 93rd. 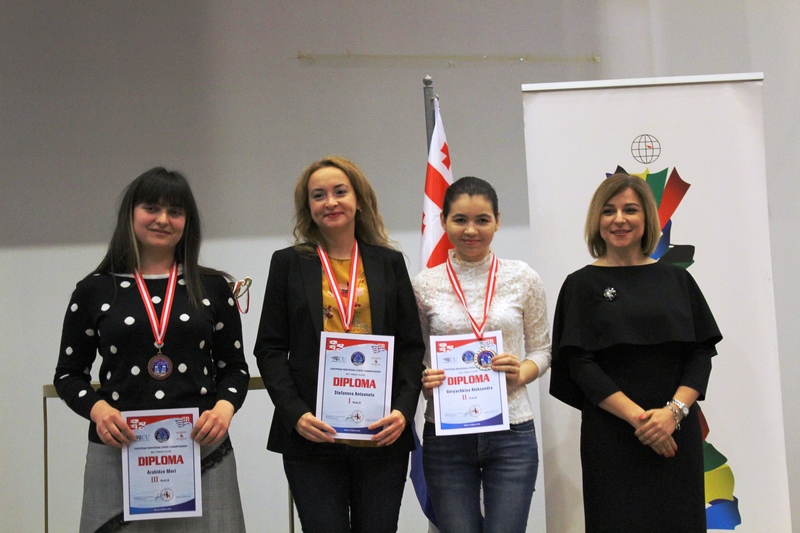 The second women player became Goryachkina Aleksandra (RUS, 2491) with 6 points followed by Arabidze Meri (GEO, 2369), Girya Olga (RUS, 2482) and Danielian Elina (ARM, 2413) each with 5.5 points. 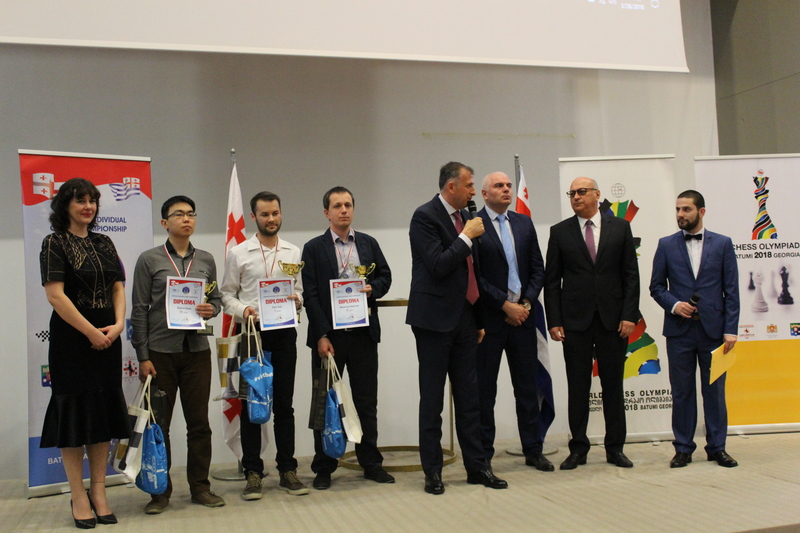 The best ranked Junior players are: Sarana Alexey (RUS, 2577) and Shevchenko Kirill (UKR, 2545) with 7.5 points each, followed by Hakobyan Aram (ARM, 2497), Nguyen Thai Dai Van (CZE, 2517) and Esipenko Andrey (RUS, 2581) with 7 points each. The best ranked Seniors are: Smirin Ilia (ISR, 2594) with 6.5 points, Beliavsky Alexander (SLO, 2537), Khalifman Alexander (RUS, 2614), Minasian Artashes (ARM, 2467) and Krasenkow Michael (POL, 2644) with 6 points each. 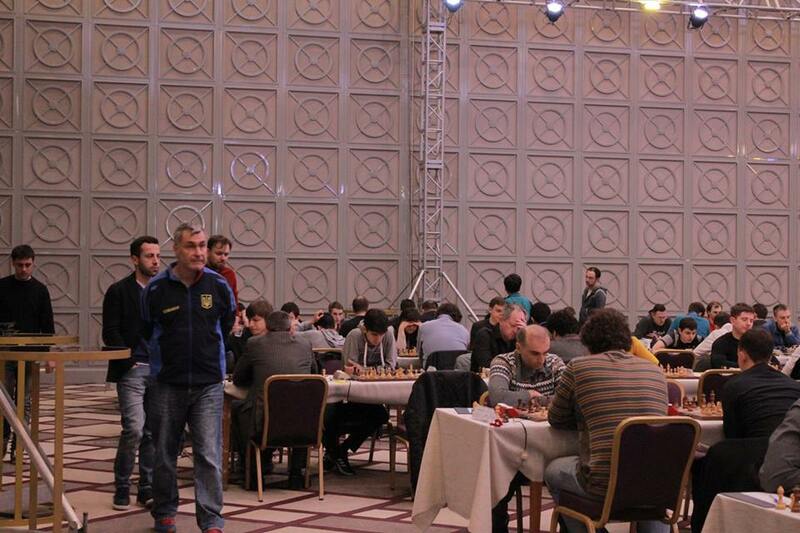 21 players achieved FIDE titles norms! The list of players who received the title norms at the event is available here. The list of players awarded with prizes according to the regulations of the event is available here. The Championship had a total prize fund of 100.000 EUR and was played as 11-round Swiss System tournament, with time control 90 minutes for 40 moves, followed by 30 minutes for the rest of the game + 30 seconds increment per move, starting from move one. 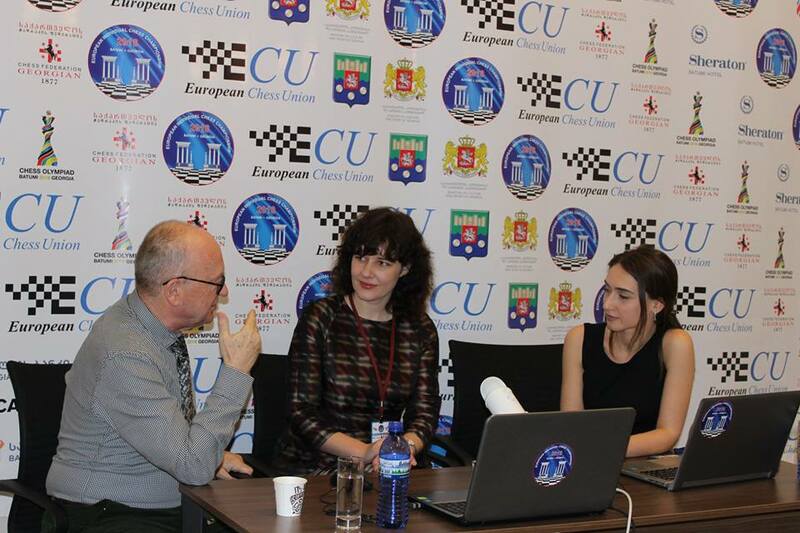 European Individual Chess Championship 2018 tagged impressive live and media coverage with 104 games in live transmission together with a live commentary given by GM Mikhalchishin Adrian and Keti Tsatsalashvili who hosted many guests during the live commentary.